A compilation from three of Jim's albums and is available only through CD Baby. This album provides a pleasing blend of some of the more soulful, traditional, Irish and Scottish songs as well as some of his own compositions. Scottish Folk Singer Jim Brannigan has recently returned to Vancouver Island following four years of playing and living on Nova Scotia's Cape Breton Island where he quickly became a favourite with tourists and locals alike. Jim has been entertaining North American audiences with his own unique style since 1979 and is held in very high regard by others in the entertainment world. His concerts consist of mainly Celtic Folk songs, (he is a Scot, though of Irish stock) and some Canadian and Australian & American folk songs as well as a steady flow of Brannigan humour and some of his own musical compositions. He has three albums to his credit; The Singing Bird, The Hills of Margaree & Troubadour. 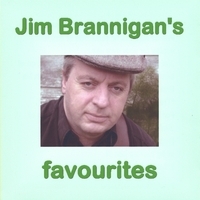 Jim Brannigan has played coffee houses, concerts, ,house concerts, festivals, hotels, lodges, pubs, lounges, clubs, cafe's, restaurants, markets and fairs and is well known for his ability to interact with the audience. He keeps a very busy schedule and has toured coast to coast many times. Now that he is back and living in the Highlands outside of Victoria, Jim is determined to play in as many BC & Alberta communities as he possibly can.